Amazon is bragging about 12 of its premium app partners coming to the Kindle Fire in a bid to ensure its media tablet isn't lost amid reports about Barnes & Noble's new Nook Tablet. When the Fire starts shipping next Tuesday, Amazon said owners of the new Kindle device will have "several thousands" of popular apps to choose from including Netflix, Rhapsody, Pandora, Twitter, comiXology, Facebook and The Weather Channel. There are lots of game makers signing on as well for Amazon's Appstore and the new Kindle Fire including Electronic Arts, Gameloft, PopCap, Rovio and Zynga. Three days after the Fire ships, the slightly higher-priced Nook Tablet will start arriving on customers' doorsteps promising a similar experience with "thousands of must-have apps." Barnes & Noble's media consumption device will feature a range of apps including Netflix and Hulu Plus preinstalled, as well as apps for download from Grooveshark, Mog, Rhapsody, Ustream, and Marvel comic books. Missing from the Nook app store, however, will be apps from Facebook, Twitter, Pandora and the Weather Channel. Instead, the Nook Tablet will have access to social applications such as Seesmic and weather apps such as HD Weather from app maker Cloud.tv. Similar to the Fire, Barnes & Noble's new Nook will have a range of popular games such as Rovio's Angry Birds, EA's Scrabble and Bejeweled 2 and Gameloft's Uno HD and Oregon Trail. The Nook App Store's online catalog currently doesn’t have games from PopCap or Zynga. 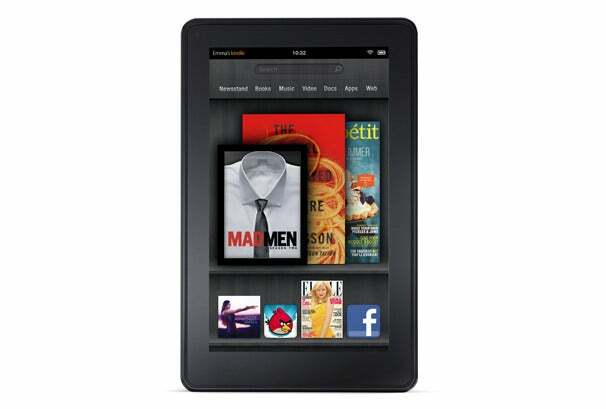 The Kindle Fire and Nook Tablet have been gaining attention in recent days as potential competitors to the iPad. But unlike Apple's tablet, Amazon and Barnes & Noble are hoping to attract new users with lower-priced devices designed specifically for consuming media such as e-books, movies, television shows, music and video games. The strategy to fight the iPad, by not fighting the iPad, might be working. A new study by ChangeWave Research and RBC Capital Markets found that 26 percent of Kindle Fire buyers decided to either delay or put on hold the purchase of an iPad, according to AppleInsider. The Fire and Nook Tablet devices feature 7-inch screens with 1024-by-600 resolution, 1GHz dual-core processors, Wi-Fi only connectivity, long battery life claims and a wide variety of content to download. 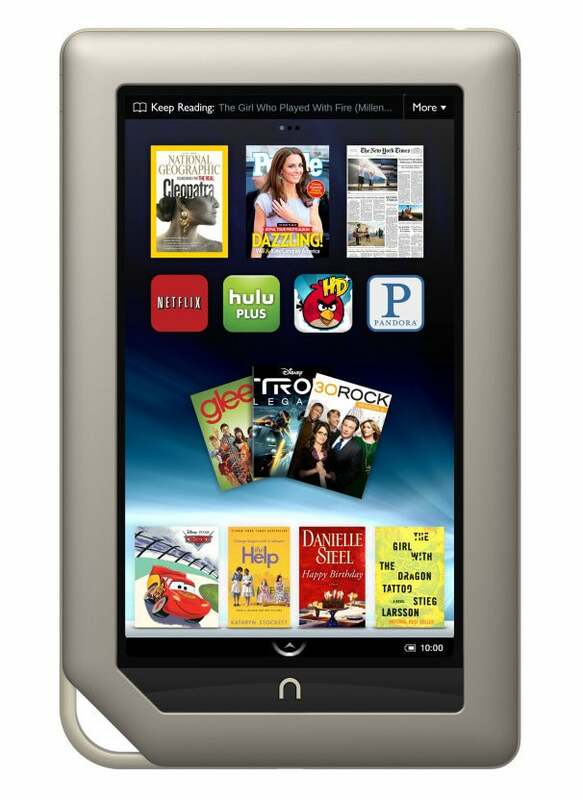 The Fire ships Nov. 15 for $200 and the Nook Tablet ships Nov. 18 for $250, and both are available for pre-order now.